The new record figure represents an overall increase of 277 people since January. The number of homeless people in emergency accommodation has exceeded 10,000 for the first time. Figures released by the Department of Housing show 10,264 people were accessing emergency accommodation in February 2019. Minister for Housing Eoghan Murphy has described the figures as "hugely disappointing". The number of adults in emergency accommodation rose by 117 to 6,480 while the number of children is up 160 to 3,784. 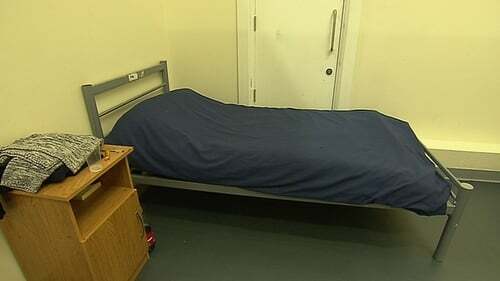 The figures have been nearing 10,000 for over a year and 1,606 people were taken off the homeless list between last March and August as part of a "reclassification" on the basis that they were in temporary or supported housing provided by local authorities or housing bodies. This evening Mr Murphy said that more people are entering emergency accommodation despite improvements to the supply of both private and social housing. He says the latest report from the Residential Tenancies Board will show rents falling at the end of last year. The minister also said that details of new tenants' protection will be published next week, including longer notice periods. Homeless charities have reacted to the figures with Depaul's CEO Kerry Anthony saying they are "hugely disheartening" as this is the second month in a row that the figures have set a new record. "We need to work together and look at ways of preventing people and families from entering homelessness and moving people out of it as quickly as possible." CEO of the Peter McVerry Trust Pat Doyle said having more than 10,000 people homeless is not something the country ever expected to see and is simply not acceptable. "We need to show and encourage people affected by homelessness that solutions are being put in place and that we can turn these figures around and significantly reduce homelessness in this country." Separately, Sinn Féin leader Mary Lou McDonald has described a report on housing as a "wake-up call" for the Government. The report by UN special rapporteur Leilani Farha criticises the Government for allowing multinational vulture funds to buy up properties, and rent them out at high rates. The report states that "landlords have become faceless corporations wreaking havoc with tenants". In the Dáil, Ms McDonald said the report was a damning condemnation of the Government's record on housing. She said the report condemned the Government for "facilitating the financialisation of housing by providing preferential tax rates to corporate landlords and by standing over weak tenant protections". Ms McDonald said the report accused the Government of allowing corporate interests to trump the needs of ordinary families in the housing market. She asked the Taoiseach to accept Sinn Féin proposals to introduce a three-year rent freeze, and to support legislation by her colleague Eoin Ó Broin which would prevent buy-to-let landlords from seeking vacant possessions. Responding during Leaders' Questions, Taoiseach Leo Varadkar said he had not had a chance to read the latest UN report in full. However he said he accepted that the figure of 10,000 homeless people in Ireland is too high. He said the solution to the problem is supply, and while the Government is lifting thousands of people out of homelessness every year, the same number are becoming homeless and this has made it difficult to get the numbers down.